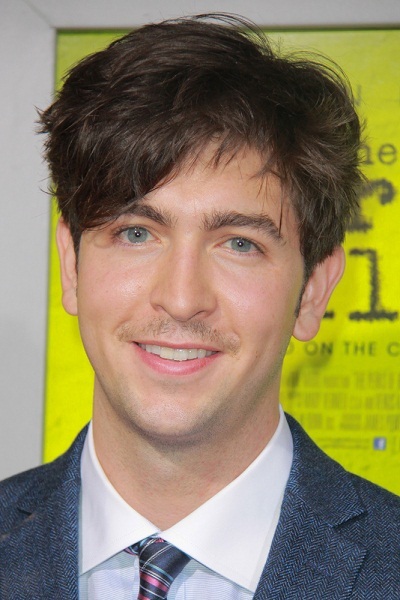 Place of Birth: Bethpage, New York, U.S.
Nicholas Braun is an American actor and musician. He is the son of Elizabeth Lyle and Craig Braun (Craig Allen Braun), an actor. He has German, English, Scottish, some Dutch, and remote French, ancestry. He has roots in the U.S. going back to the 1600s. Nicholas’s paternal grandfather was Joseph Aloysius Braun (the son of John Charles Braun and Johanna Antonias Schwab). Joseph was born in Ohio. John was born in Ohio, the son of German parents, Anton Braun and Margaret Lieb/Leinen. Johanna was born in Indiana, also to German parents, Leonard Schwab and Catherine Gramling. Nicholas’s paternal grandmother was Blanche Lamont Rice (the daughter of George Pierce Rice and Alma Louise Brooks). Blanche was born in Texas. Alma was the daughter of John Henry Brooks and Bethi Melissa White. Nicholas’s maternal grandfather was Horace Clifton Whiteman III (the son of Horace Clifton Whiteman II and Henrietta Emma Stewart). Nicholas’s grandfather Horace was born in California. Nicholas’s great-grandfather Horace was the son of Horace Clifton Whiteman and Letitia Alberta Poleman. Henrietta was the daughter of William C. Stewart and Emma Weaver. Nicholas’s maternal grandmother was Shirley Deyo (the daughter of Howard Nienstedt Deyo and Elizabeth Ann Lyle). Shirley was born in New Jersey. Howard was the son of Emery Deyo and Augusta Nienstedt, who was born in Iowa, to German parents. Elizabeth was the daughter of James Harper Lyle and Virginia Reed Armor. Rice is an Irish name!